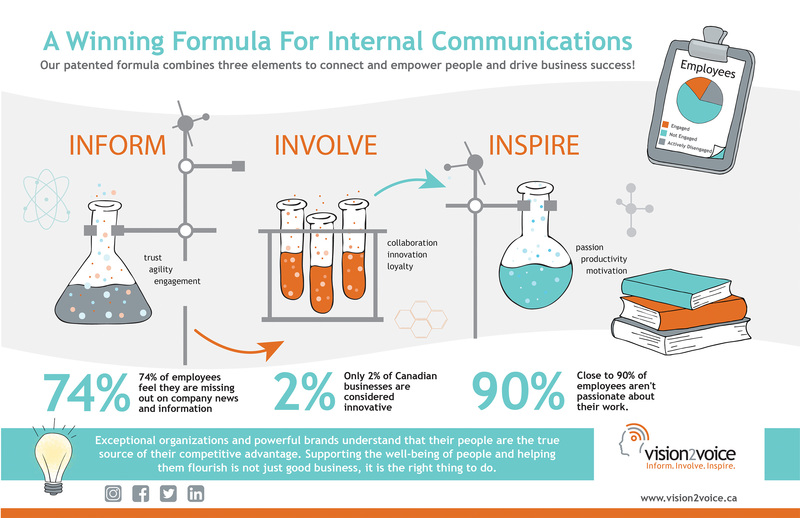 Our patented formula combines three elements to connect and empower people and drive business success! 74% of employees feel they are missing out on company news and information. Only 2% of Canadian business are considered innovative. Close to 90% of employees aren’t passionate about their work. Exceptional organizations and powerful brands understand that their people are the true source of their competitive advantage. Supporting the well-being of people and helping them flourish is not just good business, it is the right thing to do.